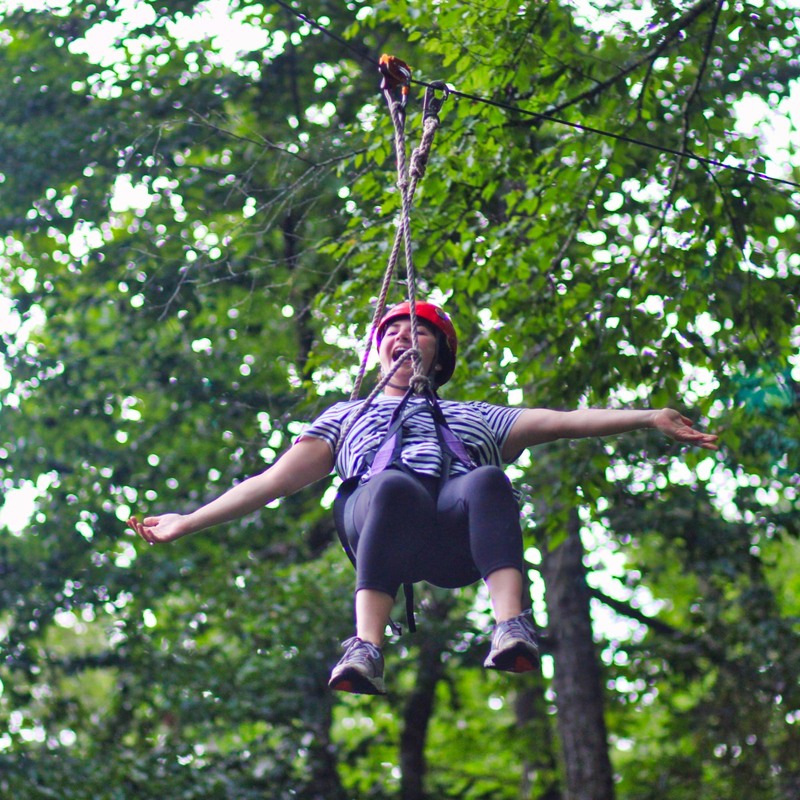 A summer camp experience is one of the most formative experiences a child can have. 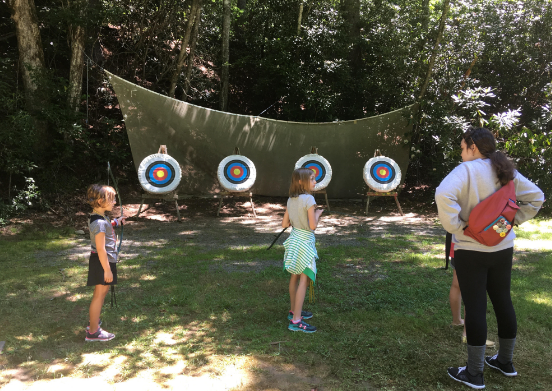 Countless studies and research indicate the benefits of camp life far exceed what can be taught in a traditional classroom. 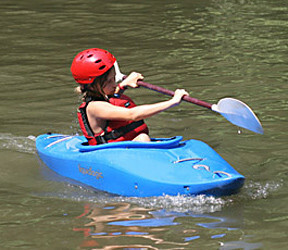 Children need summer camp to complete their growing up. 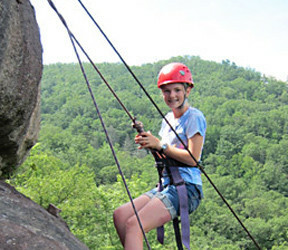 Both for teens and for children of all ages summer camp provides a caring environment where positive role models challenge and encourage new experiences. 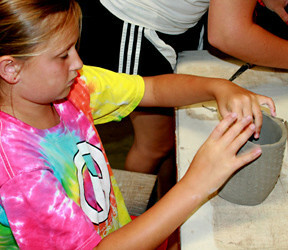 Camp is far more than just fun, it's spending the summer becoming a great person! 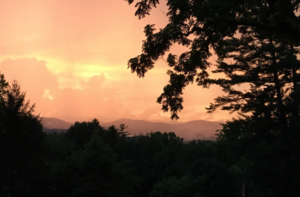 Sometimes writing these blog posts about Rockbrook, I feel like I’m preaching to the choir, like most of the folks reading already believe. 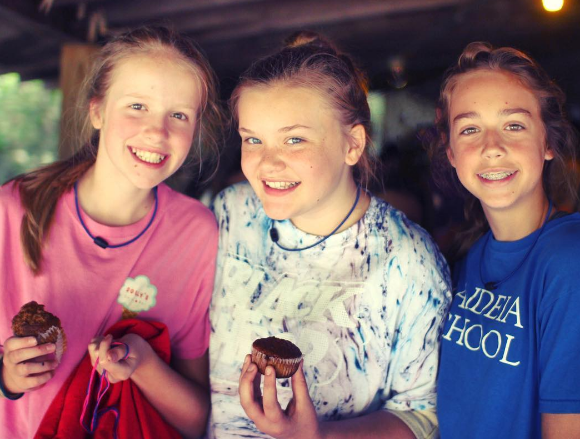 They already know there’s something special that happens at camp, that girls love it for all kinds of reasons, and that the social-emotional learning embedded in camp life is priceless for growing children. But still, for the sake of those unfamiliar, let me preach a minute. Today, as we opened our second session of camp, it was clear that this group of girls was already on their way to having a great time. 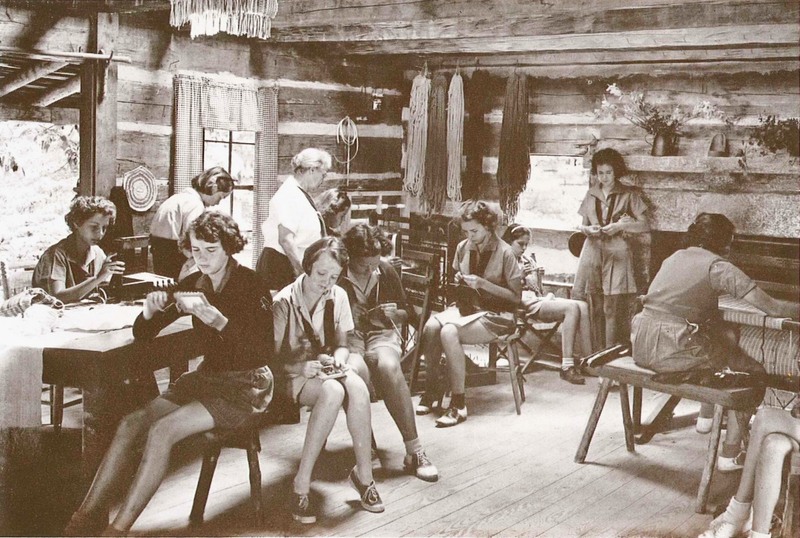 There was certainly plenty of excitement and bubbling anticipation for their camp session to finally begin, but there was also a surprisingly immediate comfort, even contentment apparent when the cabin groups found each other. Maybe the amazing weather had something to do with it— sunny, breezy and warm —or perhaps the easy, relaxed pace of the opening day process, but right away everyone seemed to have a set of friends to run off with. They were off for a quick tetherball game, the scavenger hunt around camp, adding beads to their name tags, and exploring the creek by Curosty. 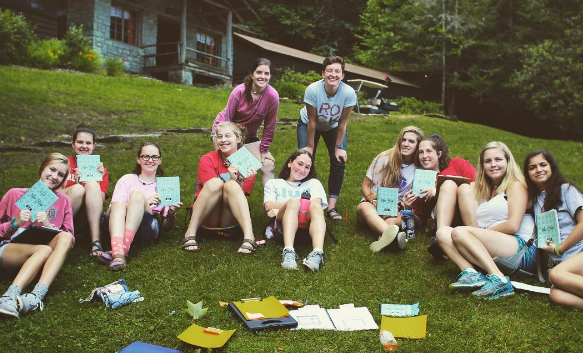 The cabin groupings, which are carefully assigned by Sarah, encourage that too, making sure new and returning campers alike felt included and welcomed by the grouping. Everyone will tell you that camp is mostly about the people, the friendships and positive relationships fostered between everyone here, so it was very gratifying to see how quickly the campers were bonding. The first all-camp event provided more opportunities for this. 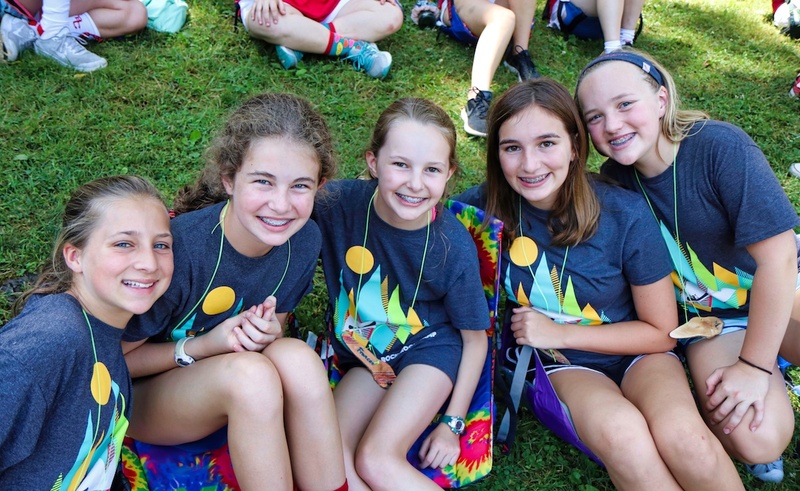 Just before lunch, we gathered under the big walnut tree on the hill (which provides a beautiful, long-distance view of the Blue Ridge Mountains) to meet some of the key people at camp, to learn and sing a few camp songs, and to be welcomed to Rockbrook by Sarah. 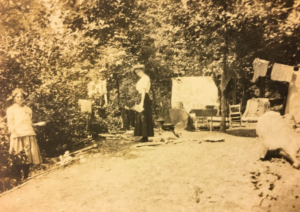 The girls sat in their Crazy Creek chairs, sometimes laying them flat to share the seat, while the Hi-Ups led songs. One celebrity made his first appearance too, Felix the camp dog. You’re bound to see photos of him in the online gallery now and then, but he’s an abstract caramel/cream colored, one-year-old Australian Labradoodle with a very sweet disposition. He’s always happy to have a quick scratch on the back, even by six or eight hands at the same time! 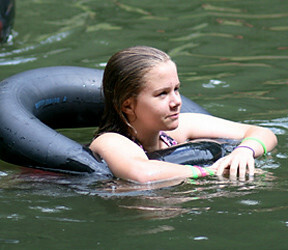 The swimming demonstrations where the lifeguards assigned swim tags to everyone, the camp tours where the girls found the location of each activity (for example, the Alpine Climbing Tower and the Nature Nook, which are both hidden in the woods on opposite sides of camp), the activity skits where the instructors staged silly “commercials” about their plans for the session, the cabin meetings where the girls learned a few important safety rules for camp, and the evening program of name games and signing up for activities —filled the remainder of our day, all contributing to that phenomenal first-day vibe. Tomorrow we’ll launch into all the activities, get out of camp for some adventure trips, clap and sing over some fantastic scratch-made meals, and continue banking experiences that define this unique community. 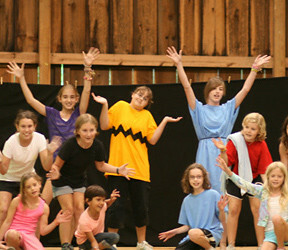 It really is true; “There’s no place like camp.” We’re all excited to dig in, and show what that means! 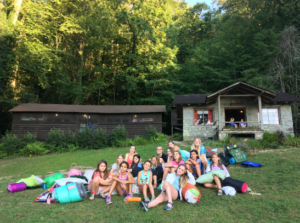 My favorite part of everyday is Twilight– the time at camp between dinner and Evening Program. Our themed dinners, special trips, or crazy songs aside, dinnertime is pretty self-explanatory. 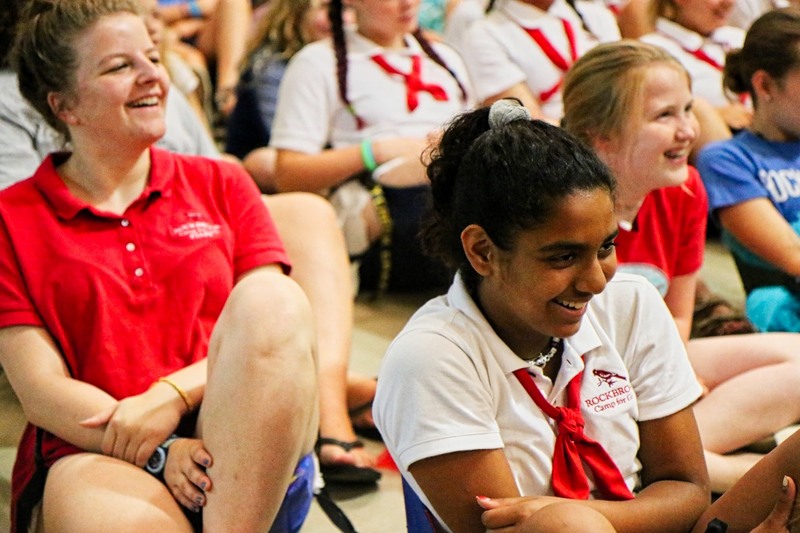 At Evening Program, girls from different age groups retreat to their respective lodges to put on silly skits before ending the day with the traditional Goodnight Circle song and the Rockbrook Prayer. While these other parts of the day are fun, I feel such a deep sense of love and appreciation for camp at Twilight. 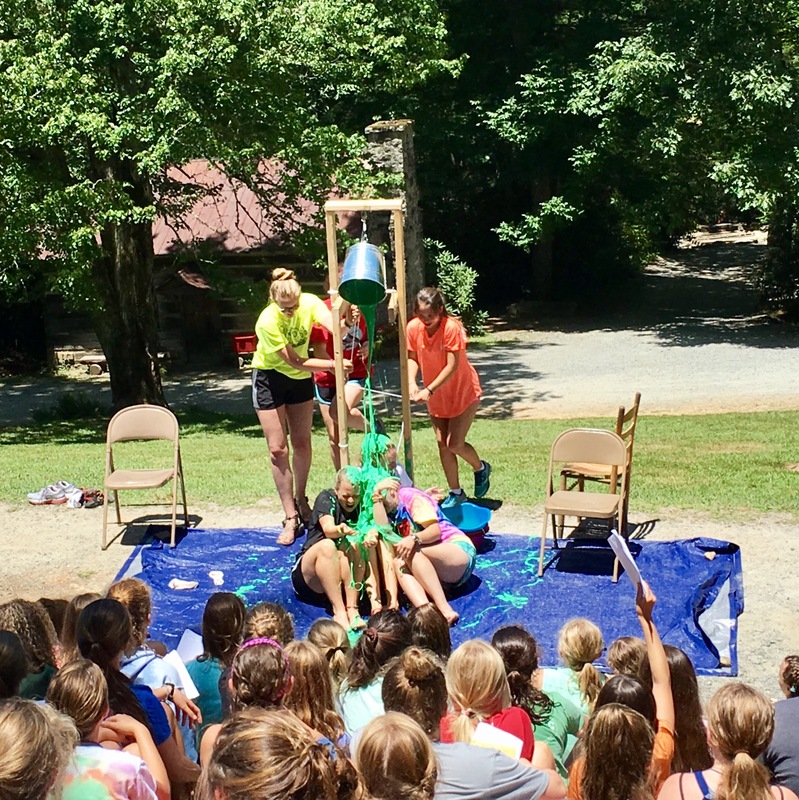 The day’s activities have brought the girls out of their shells: Juniors chase each other down the hill in front of their lodge; the tetherball pole hosts a crowd of audience members and competitors; and others enjoy quirky activities put on by counselors. 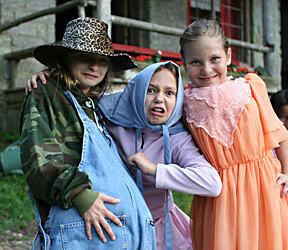 Many times, Evening Program brings a special event that was announced during dinner and girls busily dress up accordingly during Twilight. Tonight’s Twilight was particularly wonderful. 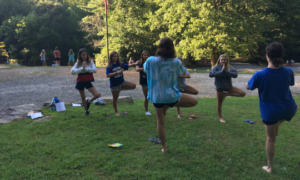 Everyone felt energized after our first full day of camp with the new group of mini-session campers, and the newly arrived campers clearly felt more settled in after an exciting day of trying new things and getting familiar with cabin mates and counselors. 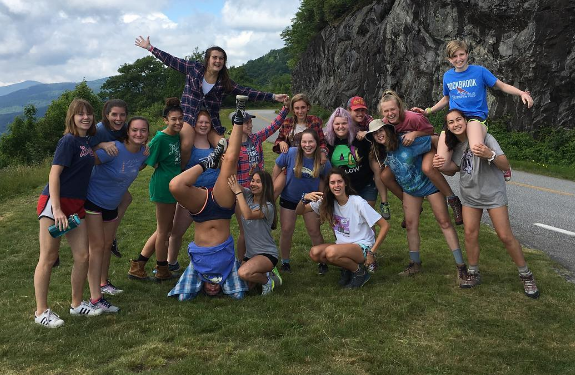 One group of counselors brought biodegradable soap down to the creek for “Mermaid Baths.” Campers bounced down the hill in their bathing suits to soap up their hair, feet, and arms in the cold water. Note: We have made sure that campers know that these do not substitute actual bathing, no matter how much more fun the process! Another group circled around one another to do yoga. I watched them take in the mountain view from the top of the hill as they practiced tree poses. They giggled as they tried to keep their balance, occasionally using each other to stay standing on one foot. Two Junior cabins used Twilight to prepare for their Junior Overnight, which departed right as the bell rang for Evening Program. Most had finished packing early and sat enjoying the sunset for the second half of their free time. I spotted them at the ready, sitting among their sleeping bags, pillows, and stuffed animals. Everything stopped at a certain point during tonight’s Twilight, though. 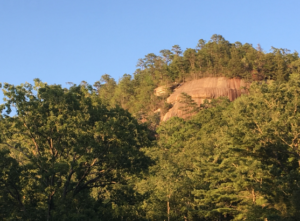 From the hill, we heard “Hello, Rockbrook!” and looked up to discover three or four little figures at the top Castle Rock, the rock face on camp that is a short hike away! 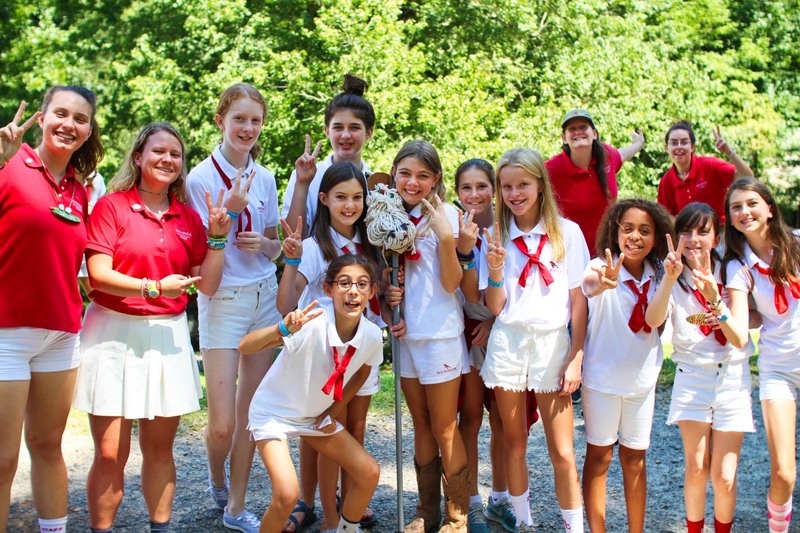 Some Hi-Up campers have hiked to the top every single day this session with one of their counselors, and they provided us with a greeting to celebrate. We shouted back, “Hello, Castle Rock!” and girls on the hill waved their arms and delighted in being able to see them wave back. 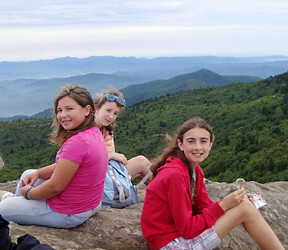 If you ask me, the best place to enjoy Twilight’s cool golden glow and the merriment on the hill is from Hiker’s Rock. It’s this view of camp that I miss whenever I’m somewhere else, reciting a poem to myself in my head that we read at Spirit Fire. The dining hall was decorated for dinner with streamers and panels showcasing Nickelodeon’s greatest hits throughout the years. During the meal, we played a game of counselor musical chairs — while the music played, counselors roamed the dining hall, showing off their best costumes. When the music stopped, they sat at the nearest table and got to spend time getting to know campers from different cabins and age groups. I loved getting to see all the counselors interact with new campers! After dinner, we all headed to the gym for an evening program inspired by Nickelodeon’s Double Dare Challenges. We watched as campers and counselors participated in fun and messy challenges like “In Your Egg Hat” – a twist on a classic egg toss, but with a bucket attached to a helmet to catch each egg. However, many people’s favorite part of the evening was the final event. At dinner, each counselor’s chair had a number attached. Our game of musical chairs mixed up the numbers, and to end the night, we randomly selected a few counselor numbers to get slimed! 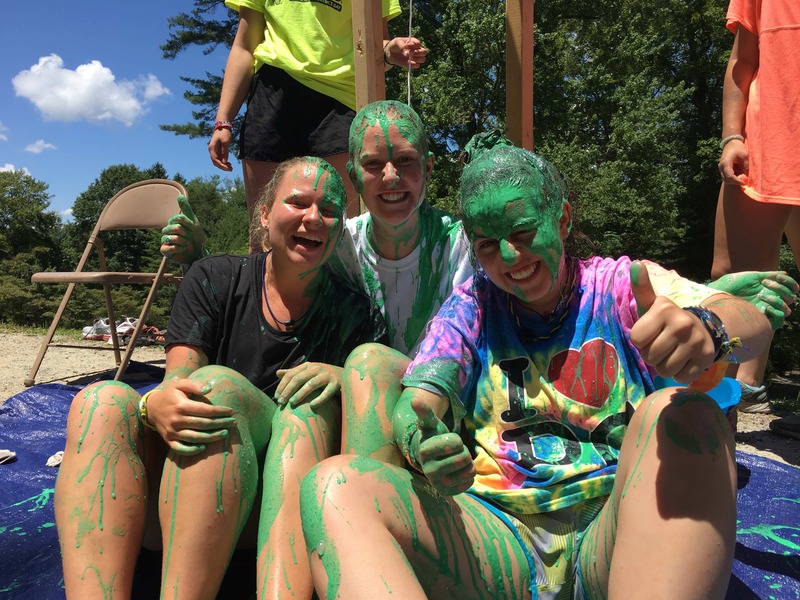 All the campers cheered as counselors got covered in sticky green slime. 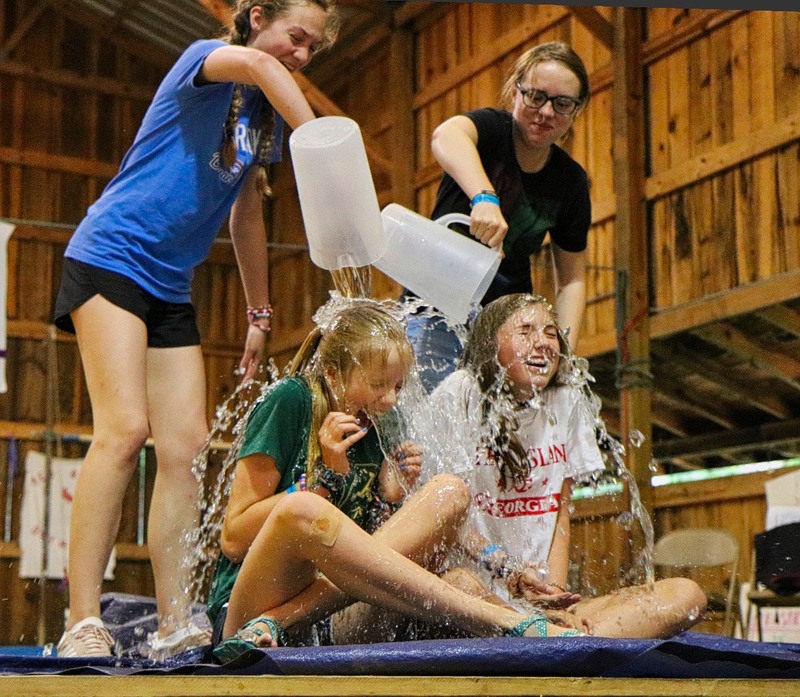 After experiencing it myself, I can say that waiting for the slime to come was a little nerve-wracking, but the happiness on all the camper’s faces afterwards made it worth it. 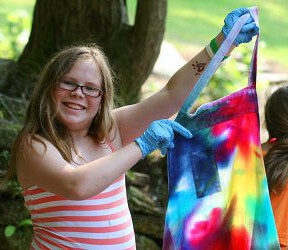 It was the perfect camp night, full of high energy and a little (lots of) messiness. Tonight two junior cabins embarked on their very own Junior Overnight. 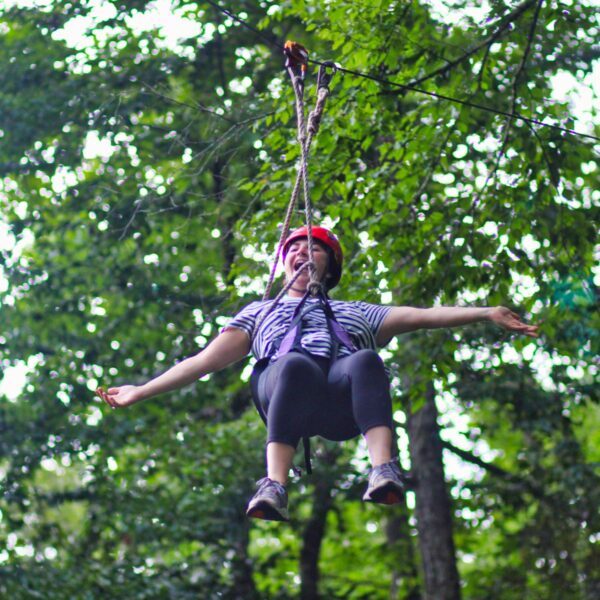 This special trip is reserved just for our youngest campers, and the girls get to venture a short distance into the woods with their counselors, make s’mores, sing campfire songs, and hear stories. 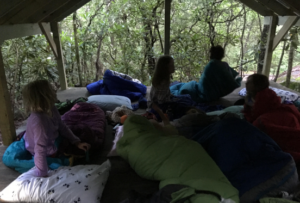 For some of our youngest girls, the Junior Overnight is their only opportunity to leave camp and sleep outside, and it’s a major highlight of the session for them. The announcement was made during dinner: “Junior One and Five cabins, what’re your plans for tonight? 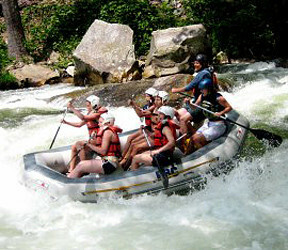 !” The two groups looked puzzled being asked this question in front of the entire camp, completely unprompted. “We don’t know… ,” said one girl in the back. “YOU’RE GOING ON YOUR JUNIOR OVERNIGHT TONIGHT!! !” As soon as I declared the news, the girls squealed with excitement. Their time had finally come! The girls wiggled into their pajamas and packed after dinner, running up to their cabins as they remembered water bottles, bug spray, or a critical stuffed animal before we left. Once we made it out to the outpost, I immediately started making the fire. One curious camper asked me to explain each step, which I was thrilled to do. 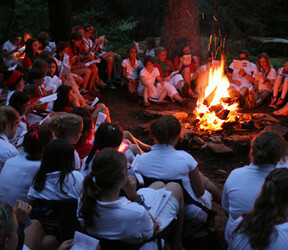 Afterwards, the campers inhaled some s’mores and learned some new songs, including my personal favorite, the Cider Song. For bedtime, after some discussion of sleeping arrangements and keeping spiders away, I read the girls a story about a girl who snuck cookies to her pet cow and another about a girl who dreamt of going to the moon. Most of the campers fell asleep before I was asked to tell “a Chelsea original,” which featured a little redbird who traveled the world helping others. Full disclosure, I love this trip. 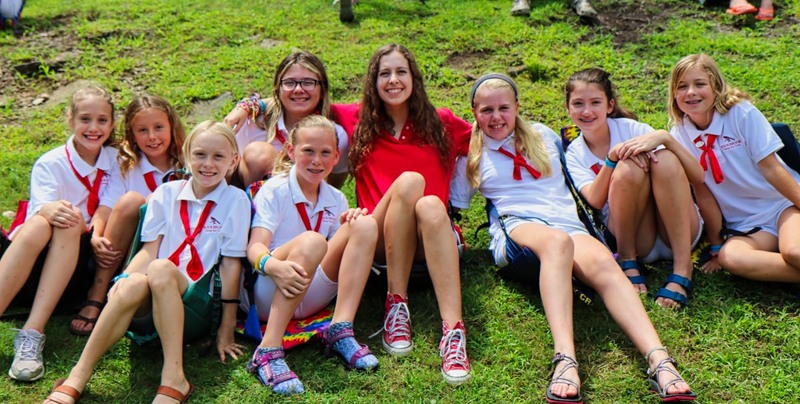 My most treasured camp memories involve sleeping outside, eating something by a fire, hearing a funny story from a Director or counselor, and overcoming a little nervousness about a bug potentially crawling on me during bedtime. It was those particular experiences that brought me back as a counselor years later. 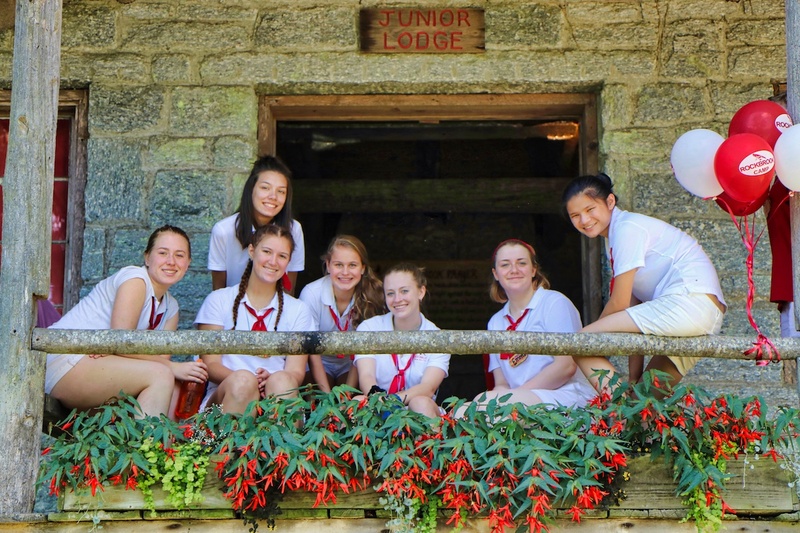 The Junior Overnight entails what summer camp is meant to be in its simplest form—quality time with friends in nature, away from modern conveniences. In my opinion, for these reasons, the simple little trip also celebrates the very reasons Rockbrook was founded. Today marked the first day of activities for Second Session! 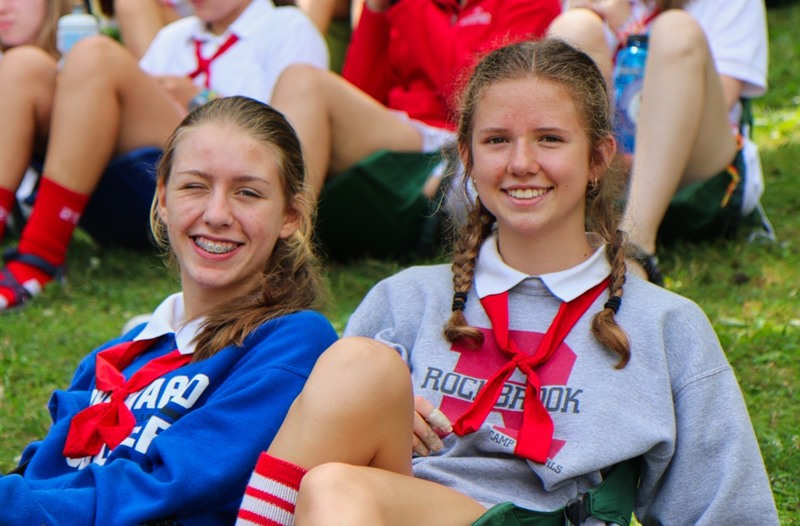 After receiving a warm welcome from counselors and fellow campers yesterday, new and returning Rockbrook girls got a big dose of “new” today– activities, responsibilities, places to sleep, places to go, morning chores, and more. I was reminded today that, with all of this unfamiliarity, the girls show so much bravery. The much older CA campers challenged themselves today, as well. All 30 of them collaborated and took a leap of faith to choose a theme for their end-of-camp Banquet. (No, I won’t tell you what it is. You’ll have to wait and see…) When they returned to camp, they got started on talking through logistics and planning how to make their vision come to life. 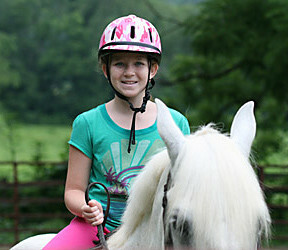 The oldest campers, the Hi-Ups, dove into their many day-to-day tasks for the first time: Just to mention a few things,they assisted counselors in teaching activities, set all of the tables in the dining hall for every meal, rang the bell throughout the day, and walked other campers to the harder-to-locate barn for horseback riding. 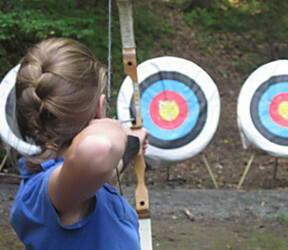 Especially at the beginning of each session, younger girls overcome things that scare them a bit at first. 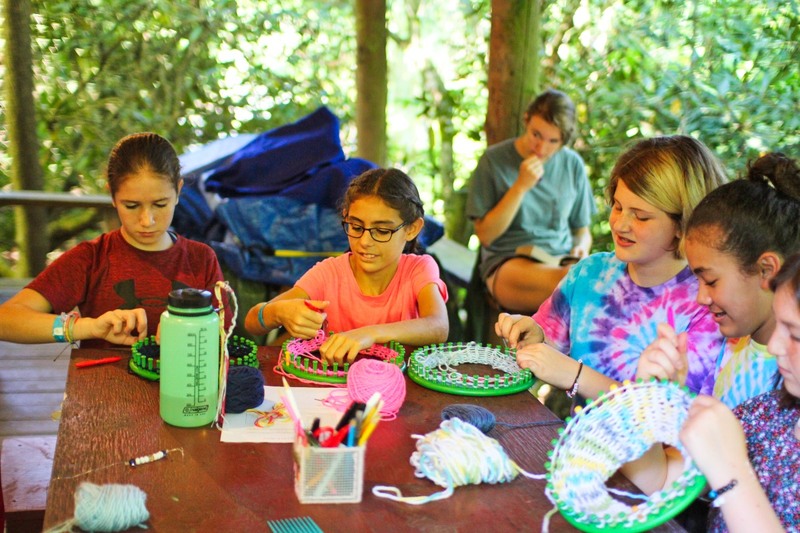 Older campers and counselors learn how to give back to a place that has given them so much and find joy in learning how to create the magic for others. Somehow, across the board, people don’t stop growing at Rockbrook– It’s a place that feels like home but keeps you on your feet with more and more to discover.